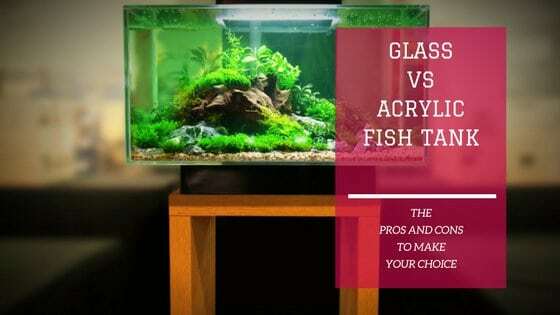 Many aquarists wonder what the differences are between glass and acrylic aquarium and why they should pick a glass or acrylic one. This is a critical question, as once you have picked a tank and have your project started, it is hard to go back if you are not happy. If you’re looking for a custom aquarium built to your wildest imagination, an acrylic tank is probably the way to go. If your goal is to have an attractive home or office aquarium, there are a variety of rimless and bent glass aquarium to choose from. 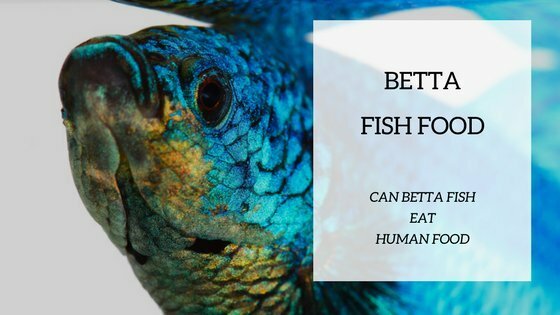 In the earliest days of fishkeeping fish it was much easier. Fish, plants and invertebrates were kept in glass bowls and custom glass boxes. Nowadays most of the aquariums are made either with glass or acrylic. 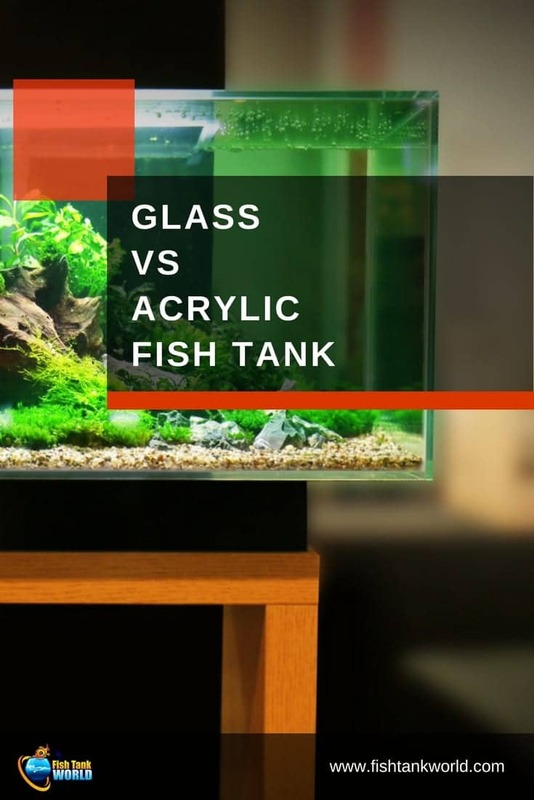 Having more options is great but most aquarists do not know the real differences if not that acrylic aquarium are more expensive and glass aquarium are more resistant to scratches. The different material brings along quite more differences that may impact your choice, so the best approach is to know them before choosing. Keep reading to know more on the pros and cons of each of these two great types of aquariums. The word “aquarium” was invented in the 1800’s by a British naturalist named Philip Henry Gosse. Aquarium is a Latin combination of aqua (water) and arium (a place for relating to). What better than an aquarium to relate to aquatic life. Early aquariums were usually constructed with a slate bottom. An open flame heated the slate, keeping the aquarium warm. The glass was sealed in place with waterproof putty. Eventually glass aquarium manufacture was refined, using all glass construction. The glass bottom and side panels were bonded together with silicone sealer and supported by a plastic frame on the bottom and top of the aquarium. Nearly all aquariums were built in a rectangular or cube shape. Later hexagon tanks come on the market. A new type of thermoplastic known as “acrylic glass” was used as a glass substitute in industry and aircraft manufacture. Acrylic (Poly(methyl methacrylate) is also known as Plexiglas, Lucite and Perspex. Acrylic should not be confused with polycarbonate, a similar clear plastic. Polycarbonate has high impact strength but is not used in aquariums. Polycarbonate contains harmful bisphenol-A, also known as BPA. Eventually acrylic sheets were used to make aquariums. Early acrylic aquariums created a lot of excitement because the plastic was bonded together with a solvent that effectively welded the pieces together. Acrylic aquariums had no visible silicone-sealed seams like glass tanks. Acrylic was used to create the first “bowfront” aquariums. The front of the aquarium was curved instead of the normal flat glass design. Internet lore claims early low-quality acrylic aquariums were prone to yellowing from exposure to sun and UV light. This appears to just be a rumor. High-quality acrylic used on WW II bomber canopies and bubbles are still clear after exposure to the sun for over 50 years. Today we have even more advanced glass materials. Curved or “bent” glass is now commonplace in aquarium design. Bent glass starts out as regular flat glass sheets. The glass sheet is laid flat, on top of a curved mold. The flat glass is heated to over 1000 degrees Fahrenheit to soften it. The glass gradually conforms to the curved shape of the mold. Bent glass is stronger than flat glass. This means the glass can be thinner and lighter than the regular glass used in aquariums. Many aquarium manufacturers are using low-iron or Starphire® glass. Containing less than 1/10th the iron of regular glass, Starphire® glass transmits more light and allows the true colors of your fish, corals, plants and other aquatic life to be seen more clearly. Starphire® glass is routinely used in large public aquariums. As thickness increases with regular glass, you’ll see a green color forming when viewed on the edge. This distorts the color and clarity of the aquarium. Low-iron glass has a distinct azure-blue edge. You’ll find high-quality low-iron glass being used in better-quality tanks and all-in-one aquarium systems. Basic aquariums use regular glass. Sometimes the bottom of a glass aquarium is made of tempered glass. Tempered glass is stronger than regular glass but it is not shatter-proof. Tempered glass cannot be drilled for custom plumbing. You’ll also find that many modern glass aquariums are rimless. This means the aquarium does not have the black or wood-grain plastic frame to hold it together. Rimless tanks really look like a glass jewel. Today’s acrylic contains UV inhibitors to prevent cracking and brittleness. It is used to make all sizes of aquariums ranging from inexpensive, tiny pico tanks to large custom-fabricated aquarium systems. Nearly all of the low-cost desk-top tanks are made from acrylic. 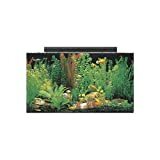 They are lightweight, easy to ship and not as fragile as glass aquariums. While most of the most popular aquarium and all-in-one systems are glass, sumps, protein skimmers and other accessories are made of acrylic. In-tank filters use acrylic dividers and media trays because they are easy to manufacture and don’t add a lot of weight to the aquarium. Today the majority of acrylic aquariums are custom made by specialty manufacturers. Ultimately there is no clear winner in this contest. The debate about glass vs acrylic aquariums is losing most of its energy for several reasons. The truth is nearly all of the popular freshwater budget aquariums are made of glass due to lower cost. The higher end aquariums for saltwater fish, reef and planted tanks are nearly all constructed with low-iron, high-clarity glass. Many custom aquarium manufacturers favor acrylic because it is easy to cut, shape and glue together. The final product is easier to build, customize and carry into the room where it will be set up. On-line debates tend to center of the eventual yellowing of acrylic aquariums. 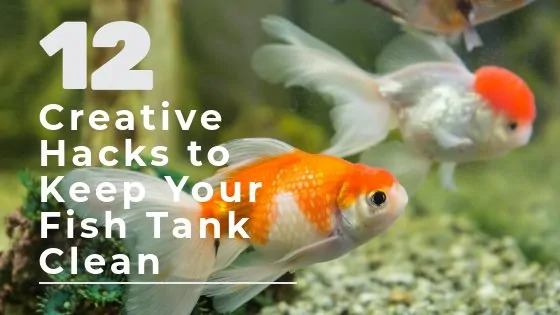 As we’ve discussed, this is untrue and should not be a concern if considering an acrylic tank. It is true that acrylic is more easily scratched compared to glass. 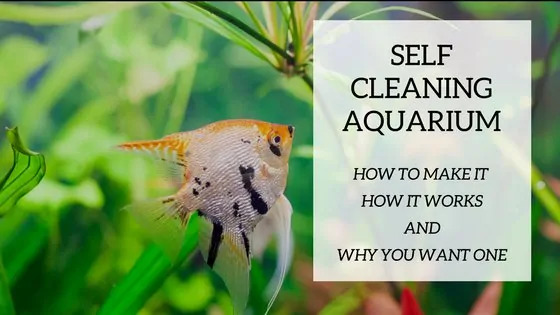 However, if you get a sand grain or piece of gravel caught in an algae scrubbing pad, it will scratch any glass or acrylic aquarium. The best approach is to take your time when scraping algae, being carful to avoid digging into the sand or gravel. Special magnetic scrapers and acrylic “safe” pads are available to minimize the chances of scratching glass and acrylic aquariums. Now over to you. Let’s us know in the comments which option you prefer. We would love to hear from you!